I'm really excited about this Kale Pineapple Smoothie but before I get into that, I need a mommy moment. I’m not really sure how this happened, but Riley is a year and a half old. He has gone from being a tiny baby who couldn’t do much of anything without help from me to being a toddling, independent little boy. He runs in the backyard, climbs on the sofa, and loves buses. He loves buses the way I love him: unconditionally. One of our favorite activities right now is going to the mall on rainy days. They have a great play area where Riley can run around with other kids and get completely worn out. I love watching him run up to other tiny humans, bursting with things to say. Granted, nothing he says makes sense to any of the adults, but he and whatever toddler he’s chosen to communicate with use their secret language to chit chat. It’s hilariously wonderful. After he is sufficiently worn out, Riley and I go to a little restaurant right next to the play area where he downs an entire kale and pineapple smoothie and picks at pieces of pesto turkey from my sandwich. 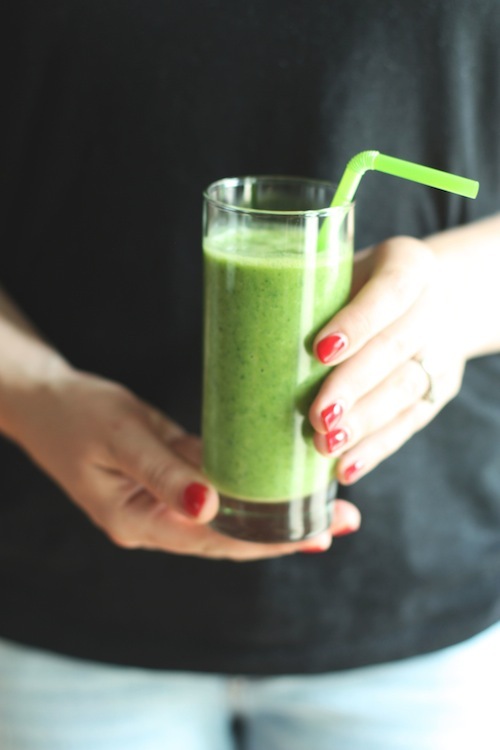 The first time he finished one of these vitamin packed smoothies I was totally shocked. Shocked and elated because of all the good things he was voluntarily putting into his little growing body. So, after a few tries I finally created a recipe we can make at home. 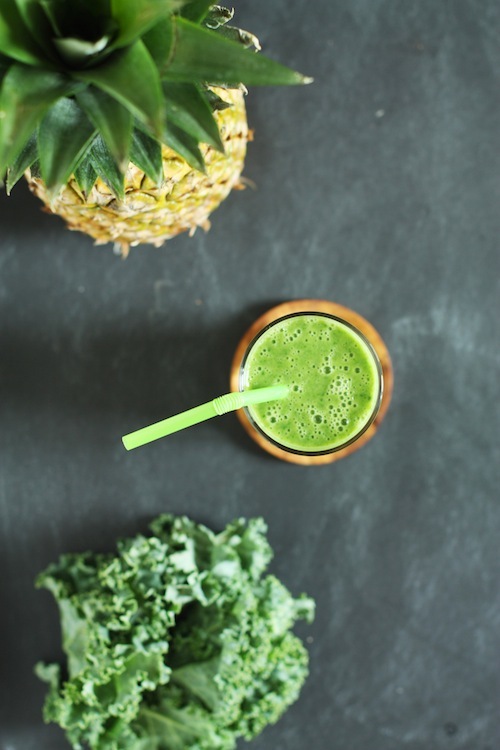 Now that the weather is nicer, we can spend time outside or at the park and this smoothie is the perfect thing to take along with us. It is also a great way to supplement on those days when all Riley will eat is a combination of Cheerios and chicken nuggets. It's hard to remember, but moms and dads need to eat healthy foods too. I sometimes fall into lulls where I am so focused on taking care of Riley that I forget to take care of myself. Fortunately, I love this smoothie just as much as Riley does. It feels wonderful putting so many healthy things into such a delicious treat that Riley can see me enjoying as well. Smoothies = me trying to set a better example. Thanks to my darling boy for being so many shades of wonderful over the past year and a half. Cheers to you, sweet boy!